Ledge Chat: The ex-premier and the Buffalo, CNIB building demolition, a Chinese phone company … and a moose? 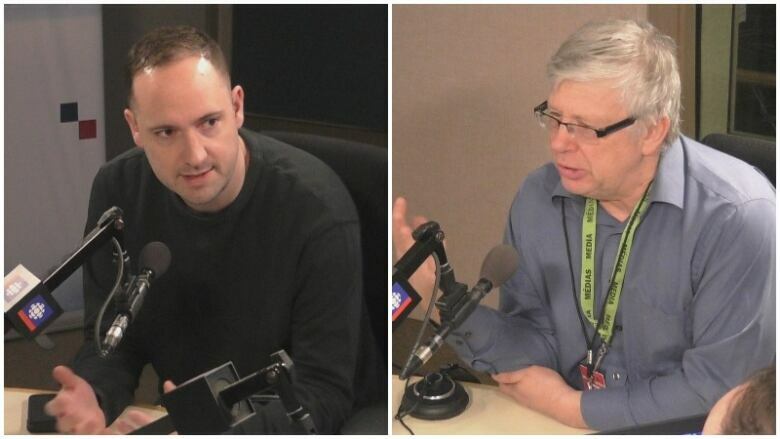 CBC's Adam Hunter and the Regina Leader-Post's Murray Mandryk discuss the week in politics. CBC's Saskatchewan Political Panel is back again to discuss the week in the province's politics. 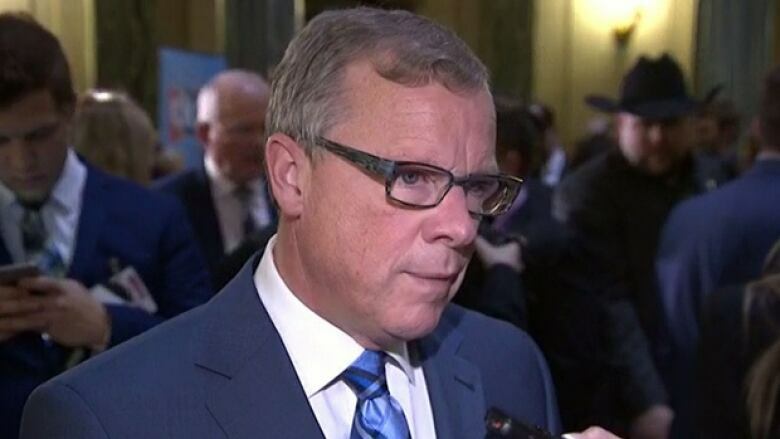 Topics on this week's agenda include Brad Wall and a new political action committee called the Buffalo Project, the stop-work order on demolition of the CNIB building in Wascana Park, and the Chinese telecom company Huawei. Adam Hunter covers politics for CBC Saskatchewan and Murray Mandryk is a columnist for the Regina Leader-Post. Jan. 18 - CBC Saskatchewan's political panel talks about the People's Party of Canada leader Maxime Bernier's visit to Saskatchewan, and how the party will be looking to make in-roads here and across the country. The panel joins moderator and CBC Radio's The Morning Edition host Stefani Langenegger to cover other hot topics from the week, including Indigenous interest in pipeline projects and Brad Wall's role in a new PAC. Jan. 11 - This week saw the Saskatchewan government's acknowledge its role in the Sixties Scoop. The province has delivered an apology for the Sixties Scoop, which saw tens of thousands of Indigenous children adopted out to families — mostly non-Indigenous — across Canada and the world. Jan. 4: This week saw Conservative Party of Canada Leader Andrew Scheer make an appearance at a Giant Tiger grocery store in Regina, where he once again criticized the federal government for its carbon tax. Dec. 21: This week CBC Saskatchewan's political panel discusses Premier Scott Moe's popularity in Canada and his Christmas message. Mandryk had some fun on Twitter with Moe's Christmas message. Dec. 14: It's time for CBC Saskatchewan's annual Christmas tradition of gift-giving to the politicians. Whether they've been naughty or nice, the Opposition leader and the premier are getting something from our political panel. Dec. 7: The fall sitting of this Saskatchewan legislative session has wrapped up for 2018. This week, CBC Saskatchewan's political panel reviews what issues stood out and how the parties performed. Nov. 30: If the minister responsible for SGI thinks there should have been mandatory training for semi drivers years ago, why hasn't he made it happen? The political panel discusses the latest. Nov. 23: Head office jobs were a hot topic at the provincial Legislature this week. Did former premier Brad Wall go to bat for a company and head office jobs that no longer really exist? Nov. 16: CBC Saskatchewan's political panel discusses the fallout from vendor paid travel for government employees, a jurisdictional battle over pot shops and trespassing laws. Nov. 9: CBC's Saskatchewan political panel discusses how significant Clare's Law is for potential victims of domestic violence. They also discuss the government's announcement that it's dropped a 3.5 per cent wage cut from its mandate for public-sector workers, Scott Moe's much talked-about cover shoot with other conservative politicians opposed to carbon tax, and a Photoshopped tweet of an NDP plane. Nov. 2: The political panel discusses Premier Scott Moe's trip to Toronto to meet with Ontario Premier Doug Ford and analyzes the government's decision to set an election date for the fall of 2020. Oct. 26: The political panel discusses the throne speech, the first question period and that bus subsidy for business. Oct. 19: How well is the Saskatchewan government dealing with the legalization of cannabis? Oct. 12: The latest report from the United Nations says we have about a decade or so to get a grip on rising temperatures or face catastrophic consequences. Speaking of going green, marijuana becomes legal next week. How ready is the provincial government? Oct. 5: The panel looks at the meeting between Ontario Premier Doug Ford and Saskatchewan Premier Scott Moe, carbon tax opposition and reaction, the newly elected Quebec provincial government and why premiers threaten to use the notwithstanding clause.